Thank you so much for showing up here with all your cracks and dents and bruises. When I started writing, I had the intent to share my raw emotions and experiences with you in hopes that it would encourage, comfort, or at least help someone feel less alone. I didn’t know if anyone besides my family would read it. I didn’t know if anything I had to say would resonate with anyone. I wondered if it would make me too vulnerable. I worried if it would be too much to put my family’s story “out there.” I thought about if it was ok to talk about all of the things people just don’t like to talk about. Ultimately, I decided to obey the whisper on my heart. Over the last couple weeks, a remarkable thing has happened. It is YOU that has encouraged ME! You’ve shared your beautiful love stories with me. You’ve told me about your heartbreaking losses. And you’ve left an imprint on my heart. I marvel at how God has used this space to draw us together. We’ve collected all our broken pieces to form a beautiful mosaic through which His light can shine. Individually, we are broken pieces formed by our own unique stories of loss. But together, we are a beautiful masterpiece, a kaleidoscope of understanding and support that has only been possible BECAUSE of our pain. We are an intricate pattern woven together by grief. 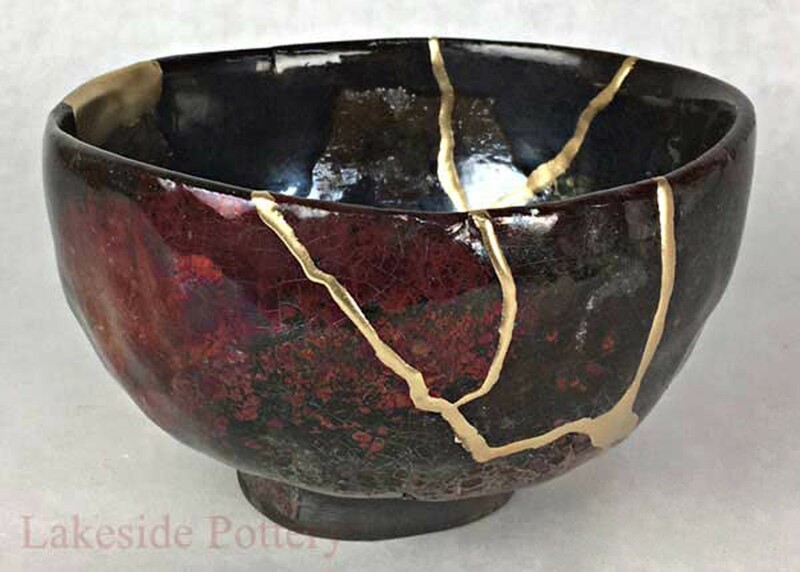 In Japan, there is a method of repairing broken pottery called Kintsugi. The technique often uses gold to lacquer together the broken shards. It stems from a cultural importance of recognizing the rich history of the broken items. The method aims to incorporate brokenness into the repair so the imperfections are made beautiful instead of disguised. I can’t help but think of us when I think of Kintsugi. Our stories about the ones we loved have left us different, cracked, not quite whole anymore…and yet, by the gold of God’s grace, we are patched together in a new and beautiful way. We aren’t going to be the same anymore, just like the broken Japanese bowl, but we are going to be mended. There will be beauty in our brokenness. We will wear the cracks from this life, the damage from the mourning in our hearts proudly like the badges of beautiful bravery and survival that they are. Thank you so much for showing up here with all your cracks and dents and bruises. I love how God is pulling us together to form a brand-new work of art with just enough space between our collective fractures for His light to shine through us. There’s a beautiful folksong by Peter Mayer I’d like to leave you with. It was played at my Step-Dad’s funeral several years ago.